Montres Rolex S.A. became a registered company in Geneva, 1920. Having been over a decade in the making at this point, its primary years (since 1905 in London) were greatly influenced by Mr. Hans Wilsdorf's ambition to perfect the product that he so clearly dreamt of mastering. 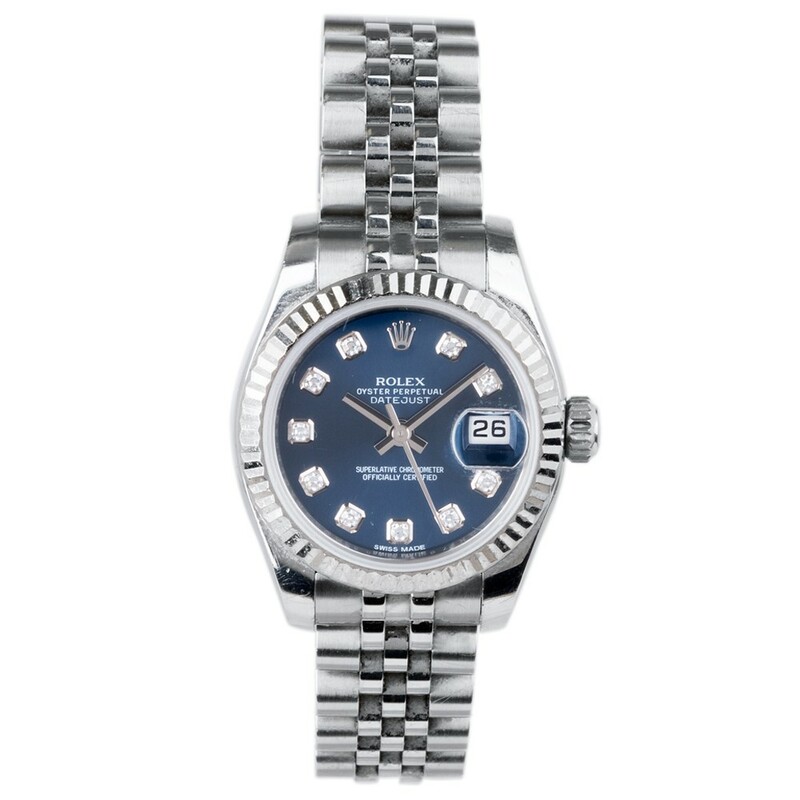 This distinctly elegant character from Rolex's Oyster Perpetual Date Just collection flaunts that iconic Swiss Rolex design with its sleek Jubilee bracelet, smooth fluted bezel and stunning blue diamond dot dial with practical cyclops magnified date window. Made in 2015, this exceptional piece of Swiss made horology from Rolex is constructed from high grade stainless steel with a durable platinum bezel and scratch resistant sapphire crystal for longevity; competently driven by an automatic movement, endowed with the Superlative Chronometer status for ability and performance. - Rolex Model Number: 179174. T H Baker (established 1888) are giving you the opportunity to purchase a prestigious pre-owned Rolex watch at an affordable price. 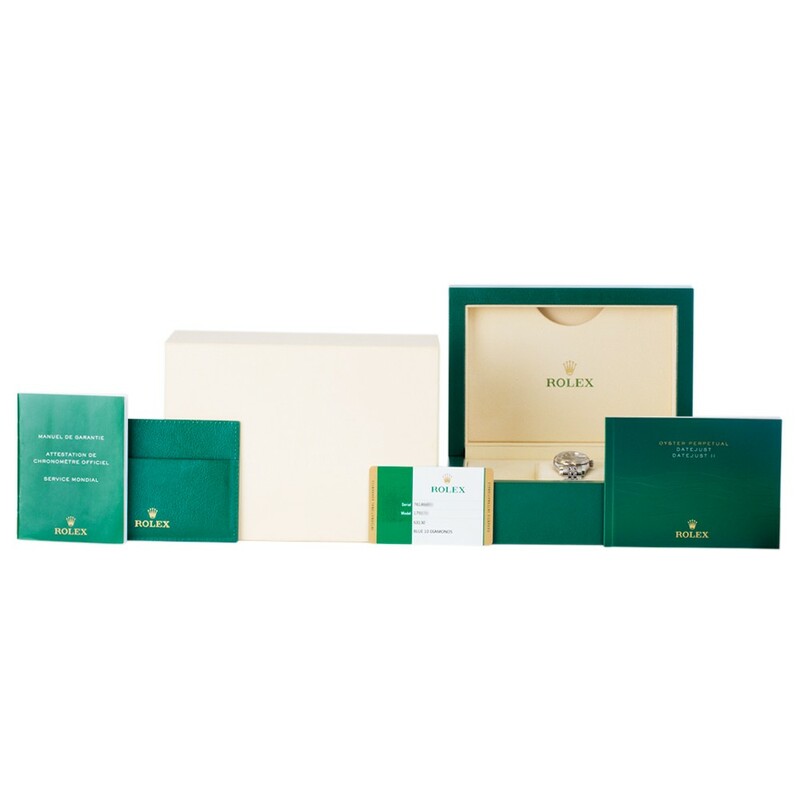 The authenticity of our pre-owned Rolex collection is verified by industry experts, and comes complete with official Rolex presentation box and certificates, professionally refurbished to the highest possible quality and standard. Investing in a Rolex is a gift for life, a proud possession that can be treasured through generations.